Put your best foot forward with Topshop’s brand new 100% vegan shoe collection. Global fashion retailer Topshop, which has around 500 stores worldwide, has just launched its first 100% vegan shoe collection in stores and online as consumers increasingly seek out ways in which to remove animal products from their wardrobes.. 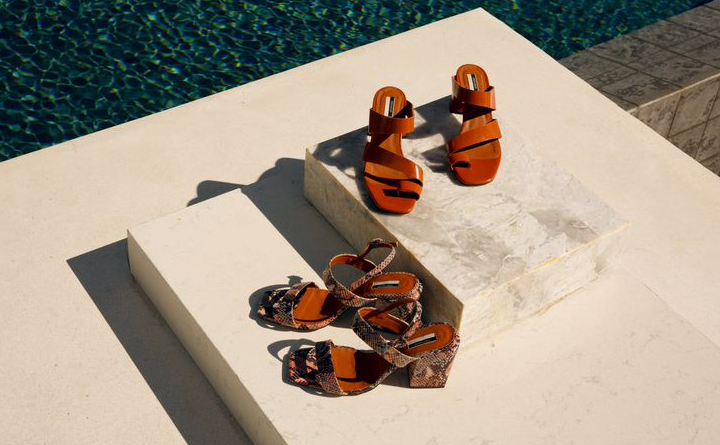 The new range, which has been approved by PETA, consists of six styles of sandals that are available in two different colours and retail between £42 to £59, making them an affordable option for the fashion conscious consumer. To ensure the shoes are completely vegan, Topshop has created the shoes using non-animal and non-fish glue and they will also be packaged in boxes made using all-vegan materials. The company has hinted that this range it just the first foray into the world of vegan fashion, with Topshop’s fashion director, Maddy Evans commenting: “We are really excited to be launching our first vegan collection this April. Initially, we’re focusing on footwear and introducing six new styles that are produced alongside our premium shoe lines in Spain. Topshop joins other high-street retailers such as Marks & Spencer in launching affordable vegan shoe collections. 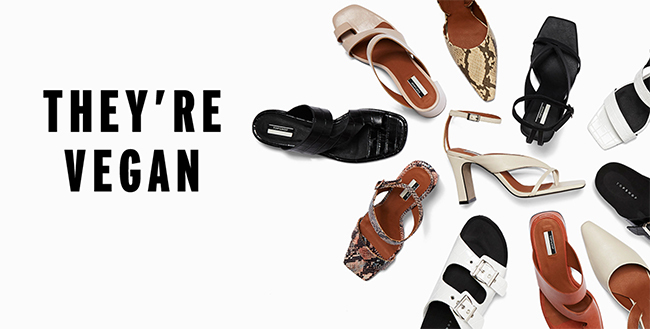 Earlier this year, Marks & Spencer launched its first ever vegan shoe range featuring over 350 affordable designs after the recent success of the launch of its new dedicated vegan food range. Topshop’s new vegan shoe collection will launch in selected stores globally in stores and online from 10 April.